Finally got the chance this weekend to watch Waste Land after having watched the trailer a few months ago - and it is definitely one of my new favorite documentaries. 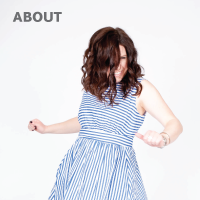 It was highly inspiring, so if you get the chance to check it out you should! 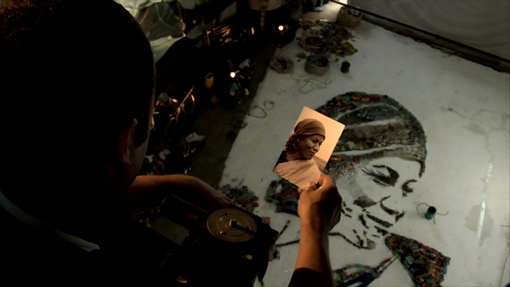 Filmed over nearly three years, Waste Land follows artist Vik Muniz as he journeys from his home base in Brooklyn to his native Brazil and the world's largest garbage dump, Jardim Gramacho, located on the outskirts of Rio de Janeiro. There he photographs an eclectic band of “catadores”—self-designated pickers of recyclable materials. 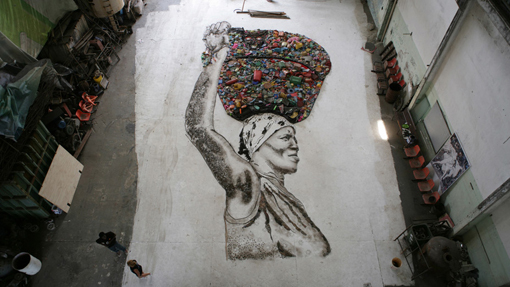 Muniz’s initial objective was to “paint” the catadores with garbage. 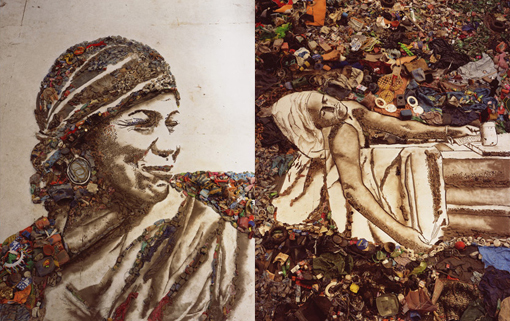 However, his collaboration with these inspiring characters as they recreate photographic images of themselves out of garbage reveals both the dignity and despair of the catadores as they begin to re-imagine their lives.